After an uncharacteristically warm February, and the thought of Spring on its way, all I can think about is getting out and exploring. Anyone else? There's nothing better than having some warm weather to encourage you out of bed and visiting somewhere new. A holiday doesn't necessarily mean jumping on a plane to another country. Today I'm taking note of all the beautiful historic sites in the UK that I'm dying to visit. If you haven't seen, I've already shared my favourite archaeological sites that I've visited in the past - from Scotland to Turkey and many in between. Whenever I go somewhere new, I make it my mission to understand and discover the beautiful history hidden behind the place. Now it's time for me to appreciate what the UK has to offer, and share some stay-cation destinations with a historic / archaeological importance. I visited bath YEARS ago when I was about 9 years old, on a family holiday down to Somerset. I don't remember every detail of that holiday, but what I do remember is the Roman Baths. 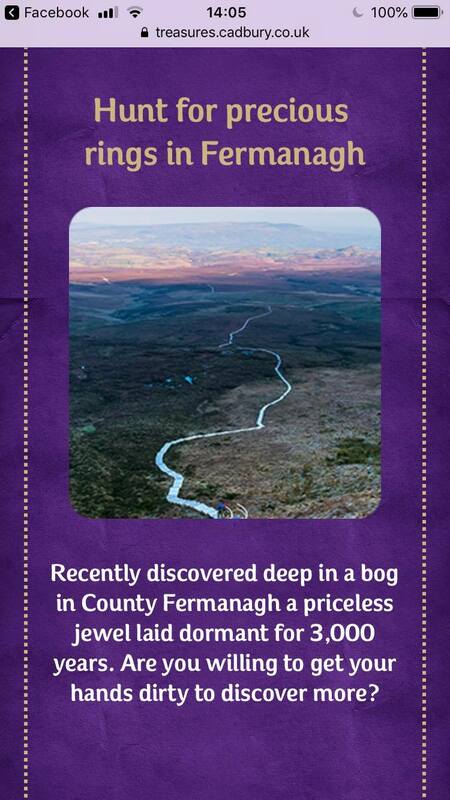 I had decided by that point that I wanted to be an archaeologist, and was amazed by everything I saw. Now - 14 years later - I'm still dreaming of Bath, and the history that encompasses the place. My love for archaeology, and the Romans, has only deepened and I feel I have a totally new interest and perspective in the site which has been the subject of many essays and classes. 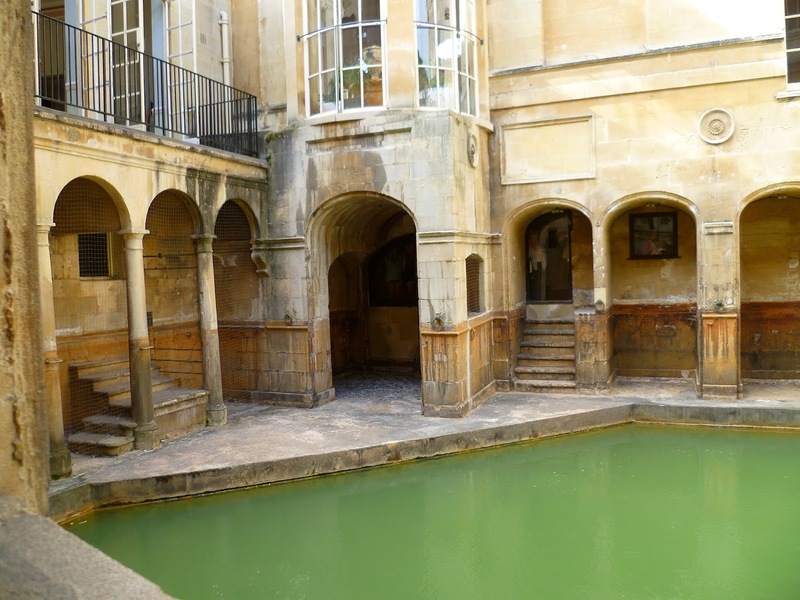 The city of Bath is covered in beautiful Georgian architecture and, of course, the Roman bath complex, built on naturally heated pools, are calling my name. York is another city that has roots dating back to the Romans, but also has a good dose of Viking remains to explore too. 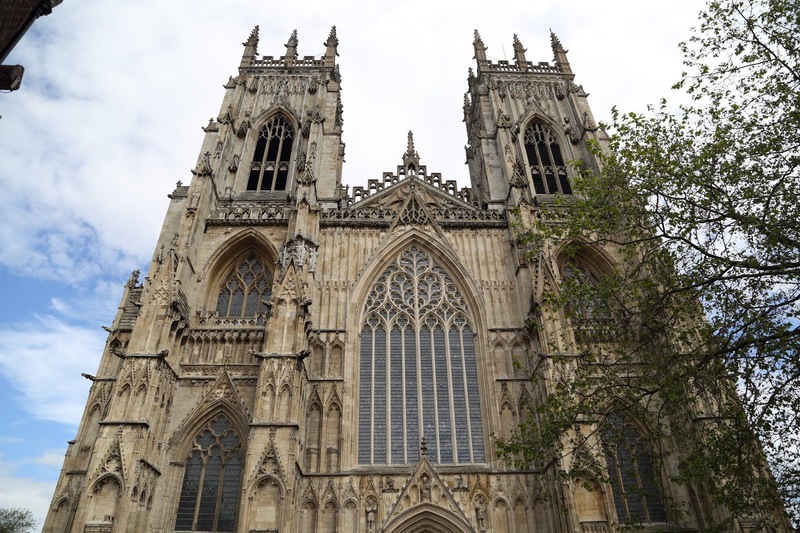 York has always been a city I'd love to visit, not least to explore its 30 museums. 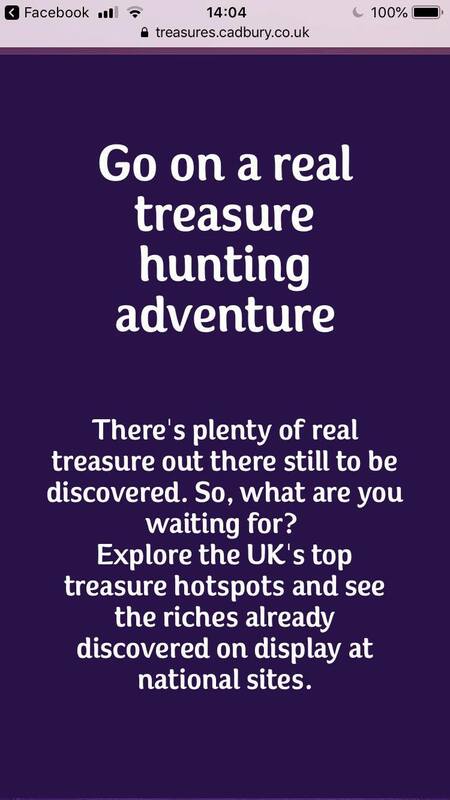 Whether its exploring the underground Roman city and bath house, or discovering the Jorvik Centre to learn about York's Viking past, there's so much history to see. 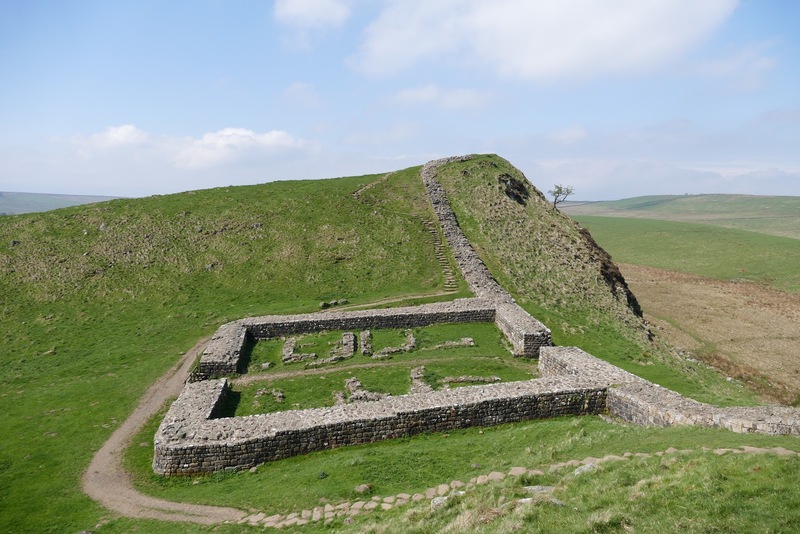 I'm more than a little ashamed to say I haven't made a visit to Hadrian's Wall yet - as a Roman Archaeologist, I really should have by now, and I don't have an excuse for why I haven't been. Hadrian's Wall was built by - you guessed it- the Emperor Hadrian, in AD 122, and runs from right across Britain, from Sea to Sea. Hadrian's Wall is now a World Heritage site, and you can walk along remains of the wall, visit Roman Forts and pop into museums along the way. 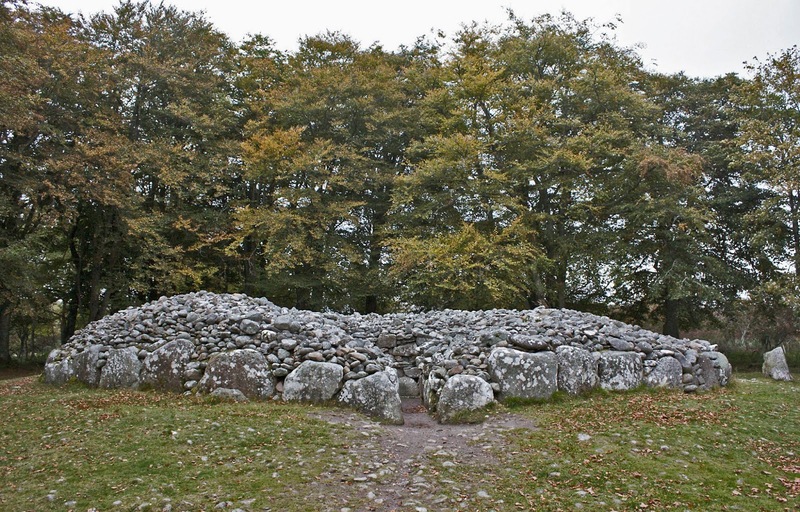 Near Inverness, Scotland, are the Clava Cairns - also known as the Burial Carins of Bulnuran of Clava. These cairns date back to the Bronze Age, and consist of passage graves, ring cairns, kerb cairns and standing stones. These cairns are hugely signifiant in Scotland's history, and have examples of cup and ring marks etched into some of the stones. After studying burial rites and customs in one of my fourth year classes, I've always been interested in cairns and would love to visit these places to gain a better appreciation and understanding of them. After visiting the Ring of Brodgar and Stones of Stenness in Orkney, I've set my sights on more of Scotland's standing stones. 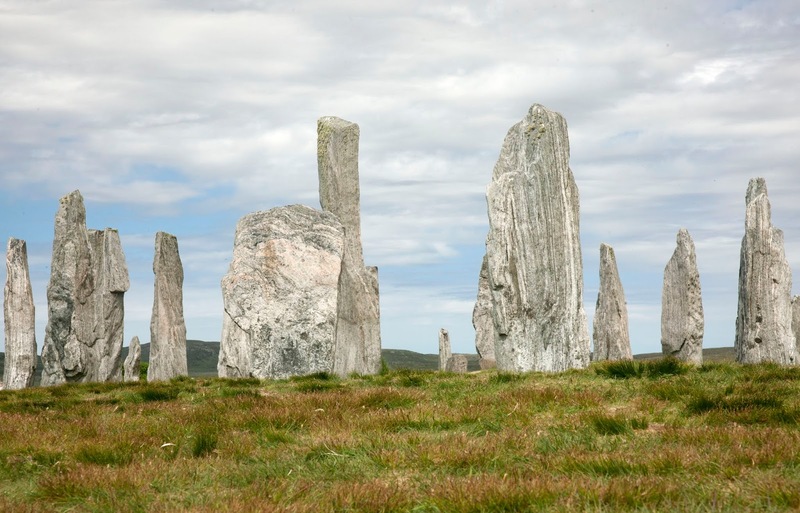 The Callanish Stones stand proud on the Isle of Lewis, in a cruciform pattern. This Neolithic Stone arrangement lies amongst other ritual sites on Lewis, and has a later chambered tomb between some of the monoliths, demonstrating the sacred nature of this landscape. Standing amongst the stones in Orkney, I could feel and appreciate the magnitude of this landscape, and I'd love to see what I felt standing amongst the Callanish Stones. As tradition goes, these stones were giants who refused to accept Christianity and were turned to stone by St. Kieran. These five sites are just a taste of the many beautiful and historically rich sites that cover the UK. While the some of the places I'd love to visit - such as York and Bath - are host to many sites and could easily fill a weekend away exploring them all; other sites would be amazing for a day trip, or could lead onto more local historic sites - Culloden Battlefield is nearby the Clava Cairns, so it would only be right to pay a visit there too! 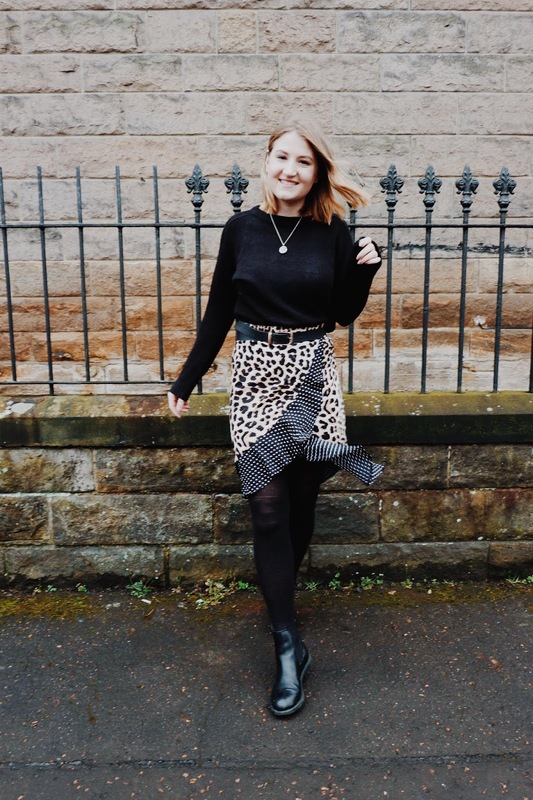 The sites I've picked to share today have all jumped out at me throughout my different classes and essays, but there are still SO many more sites to discover. The UK has 31 World Heritage Sites (6 of which are in Bonnie Scotland) as well as a bucketful of other historic sites. If you haven't already seen some of my posts exploring some of the beautiful sites that Scotland has to offer, then what's stopping you? 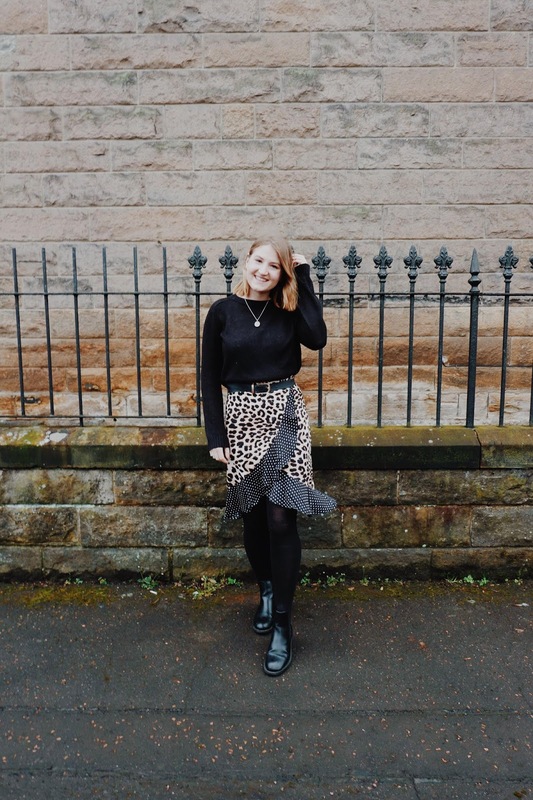 Explore Edinburgh's Royal Mile with me and discover some of the gems that are hidden down the closes. Or why not tick off one of Scotland's World Heritage Sites and find out more about New Lanark! I'd love to know where your favourite sites are and which historic places you'd like to see up on my list! As I haven't visited these sites myself, all images are from Creative Commons, and sources are linked below each image. Last time we spoke about Italy, I was reliving walking through the streets of Trulli in Alberobello. Today, I'm still sharing the adventures from our weekend trip to Puglia, but bringing you to Monopoli. 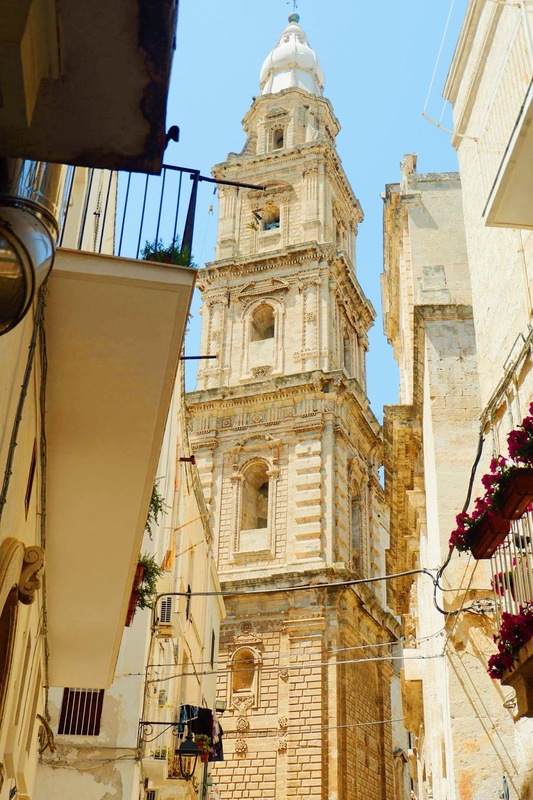 As we had to make the drive back to Passo for the final week of excavation, we were only able to make a short trip into the town of Monopoli. In the few hours, we wandered the lazy seaside town, and discovered many gems. Monopoli's name translates to 'only city', after inhabitants of Gnathia fled here in AD 545, when Ostrogoth King Total destroyed their city. 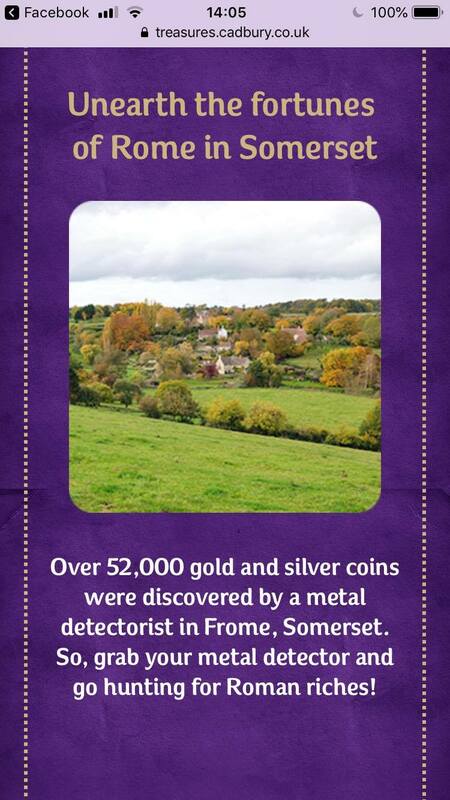 The town now has a population of c. 50,000 inhabitants and functions as an agricultural, industrial and tourist spot. Visiting the town on a slow Sunday restricted most of our visit to wandering the quiet streets and taking in the beauty of the buildings. 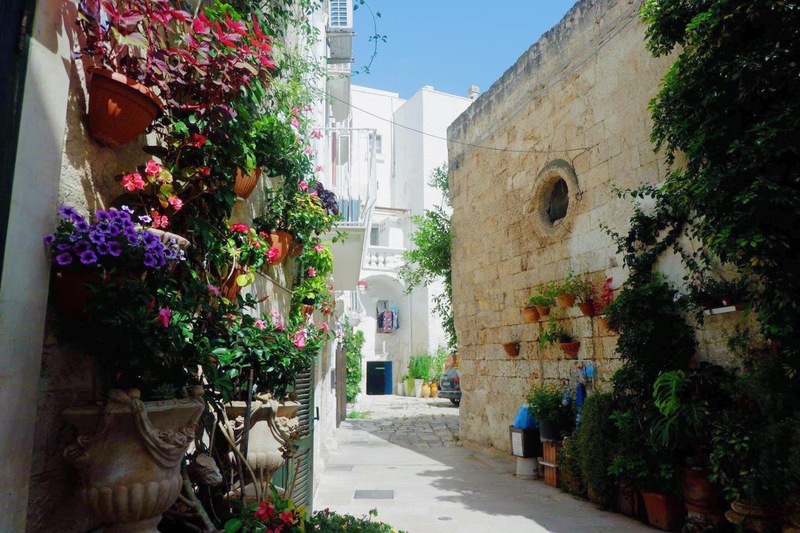 White washed buildings line the streets, with beautiful blooms of flowers framing doorways and filling window boxes, while potted cacti stand tall against the buildings. 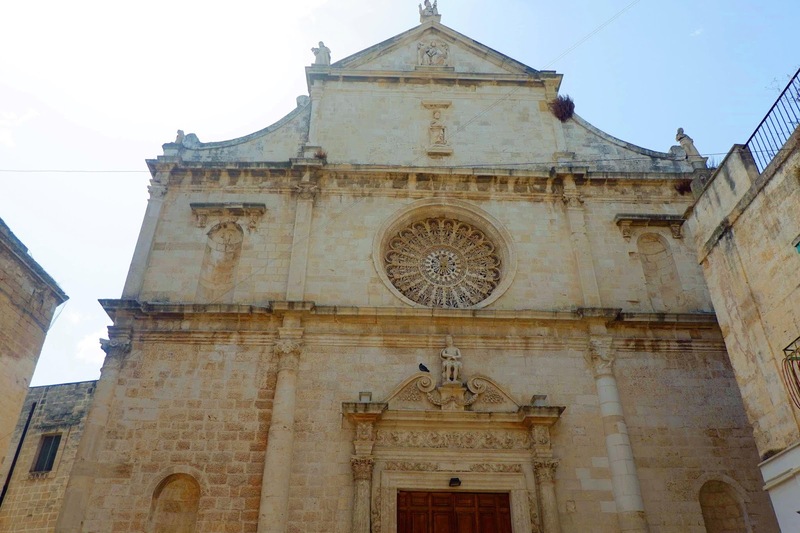 Wandering around the town, I lost track counting how many churches we passed - in fact, the old town of Monopoli is home to no less than 19 Medieval churches and cathedrals. Each church exceeds the last in decor, with uniquely beautiful designs carved into the stone. One of the churches that immediately caught my attention was Chiesa di Santa Maria del Suffragio delta del Purgatorio, which dominates the street aptly named Via Purgatorio. The outside is decorated with carved skulls and skeletons - an unusual form of decoration for a church, and something I haven't seen outside of graveyards and cemeteries. The history of the church is extremely interesting, as it is a church of Purgatory. The church was built in the 17th Century, after the Protestant Reformation argued ideas such as Purgatory. As a result, Catholics constructed purgatory churches, as a form of reaffirmation of the idea. The church is dedicated to the passage of life to death, and is a place where people could pray for those who were in limbo. Symbols of death decorate the church, in order to remind those who sin of the suffering of purgatory. 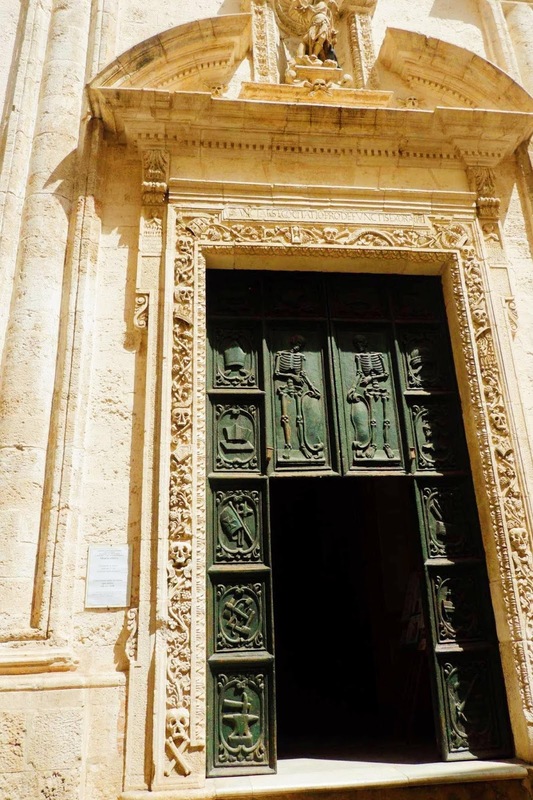 Near the entrance of the church, and visible through the doorway, are mummies dating to the 18th and 19th century, who were founding members of the church, local administrators and the mummy of a child. The mummies are dressed in robes and displayed in cabinets. 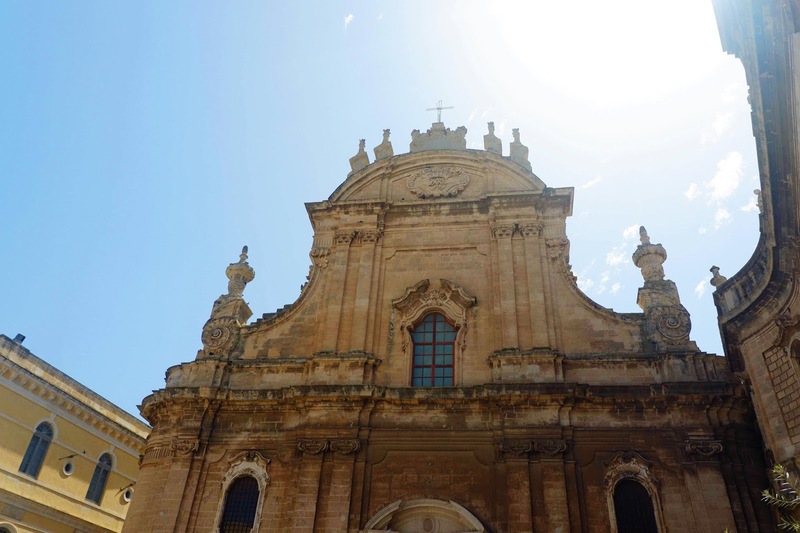 As well as churches, Monopoli is also home to a beautiful harbour, filled with fishing boats, and a seafront promenade, where tourists were spending their Sunday lounging on towels and soaking in the sun. Along the alleyways beside the old harbour were cute boutiques and souvenir shops, filled with seaside themed trinkets made from shells or capturing the beauty of the area. Of course, being in a seaside town it was only right to give some of their seafood a try, and we stopped for lunch at Piazza Palmieri, a seafood restaurant. 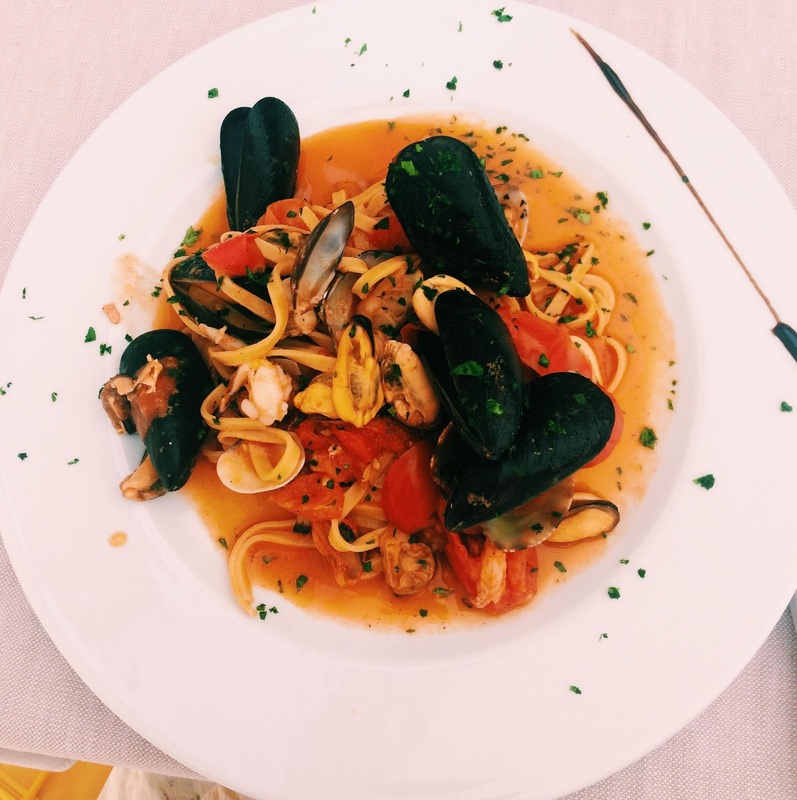 I had my favourite dish - seafood linguine - which had a delicious mix of local seafood. 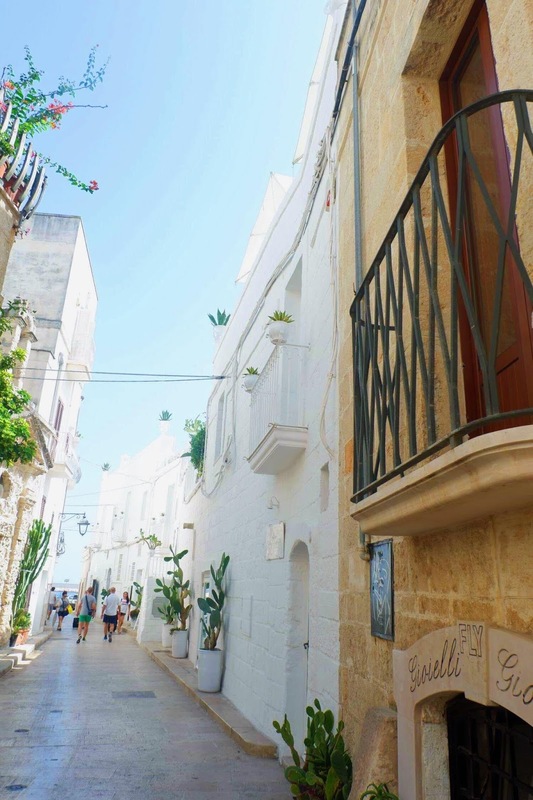 I would recommend Monopoli to anyone looking for a base to explore the Puglia region, as the town has a perfect mix of things to explore while still having a slow and relaxing atmosphere. Let me know if you've been, or are planning to visit! To me, there's no better place to unwind than a museum. Whatever city I land in, no matter the country, there's always a museum that is calling my name to visit. As a self-confessed history geek, who's trying to start a career in the heritage sector, I'm one who will gladly make a museum their home for the day. Gone are the days when museums were hushed places, where you were to silently observe and learn from display cabinets. Museums are becoming interactive places, where a little bit of noise is allowed, and children can engage with displays, while learning, in a more enjoyable manner. I'm a big believer and advocate of Public Archaeology, and love finding new ways to engage with the public, and particularly children who will make up a new wave of archaeologists - and what's better than engaging them in history, heritage and archaeology at a young age? So why am I babbling on about Public Archaeology? On a recent visit to London, a rainy forecast had us googling fun indoor activities. I always try to squeeze a bit of history into my trips to London, but am well aware that my brother and sisters don't find quite the same amazement as I do with these types of things. It was actually my brother's suggestion to visit The Horniman Museum, as he remembered enjoying a previous visit as "it's not quite like other museums". This immediately caught our attention, and a quick google had us planning the short trip to Foresthill. The Horniman Museum and Gardens specialises in Anthropology, Natural History and Musical Collections. When you enter the galleries, you're immediately hit with colour. We spent some time walking around the World Gallery, which displays the anthropology collections. Within this gallery, objects are displayed to show the different ways of life in different countries, with four main areas: an introductory section which explores the memories we attach to objects; Encounters, which compares ways of living in different countries and different time periods; Perspectives, which looks at ways we understand and categorise the world; and Horniman's Vision, which gives visitors an insight into the Horniman's history. The section of objects within this gallery were all eye catching and engaging, for both children and adults, and helped visitors to compare different ways of life. Around the gallery were interactive games - perhaps aimed at children, but we found amusement playing along too - and had us using all five of our senses to think about the world. 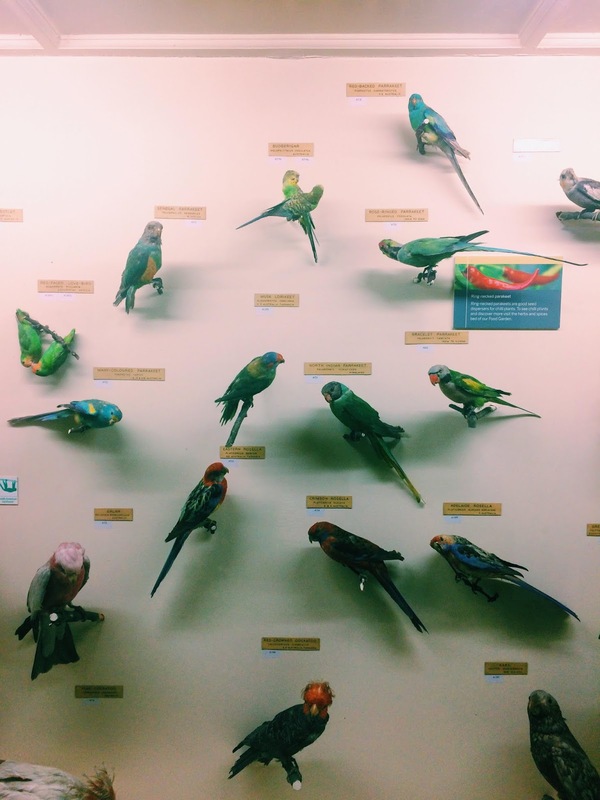 The Horniman is also home to an impressive taxidermy collection, with a gallery filled with a huge variety of animals. Cabinets are filled with skeletons and taxidermy which showcase evolution, adaption and domestication of animals, as well as an impressive collection of fossils. And right in the middle of the room is a walrus, who sits on top of an iceberg, and was certainly getting the most attention from kids. 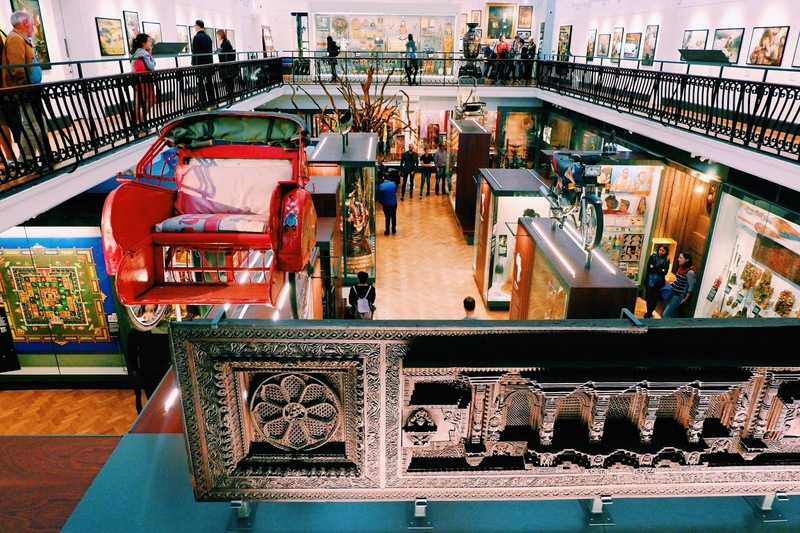 The Music Gallery is home to 1300 musical instruments, with display cases filled with instruments from around the world, showing the huge variety of musical instruments played across the world. There's also short films which you can watch to understand a bit more about how and when the instruments are played. 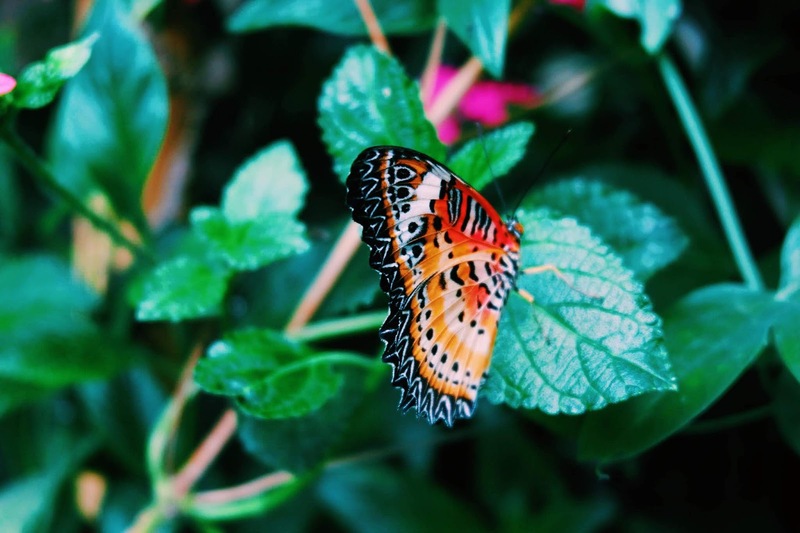 A unique twist to the Horniman Museum is that there's not only artefacts on show - there's also an aquarium and butterfly house which you can buy tickets to visit. We, of course, jumped at the chance of visiting both. 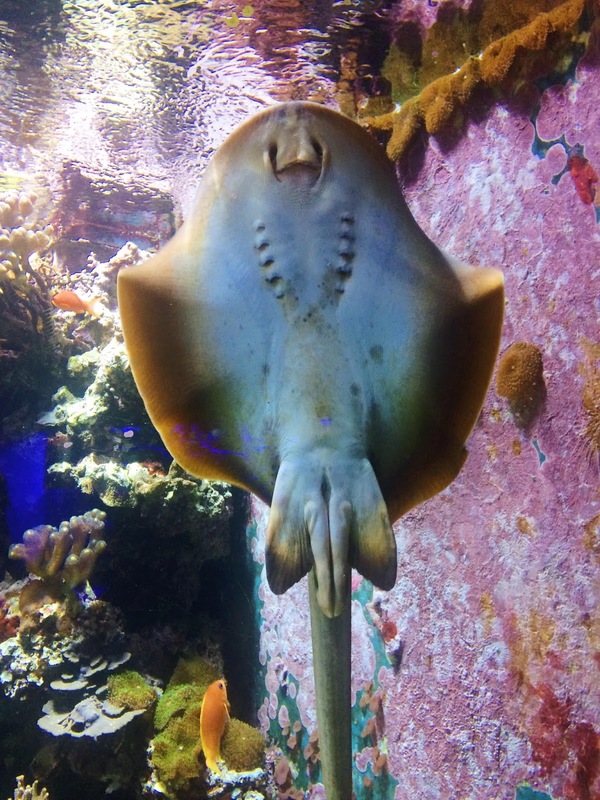 The aquarium was filled with beautiful sea life, from different climates, starting off here in Britain with a typical British pond eco-system, and travelling to coral reefs filled with colourful fish. It was mesmerising watching the different animals swim and dart amongst rocks, and fascinating to see so many different colours and shapes. 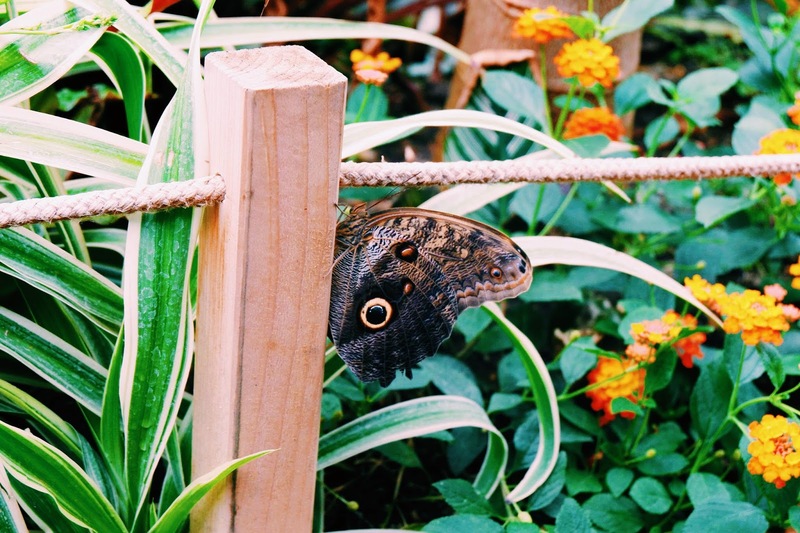 The butterfly room was an incredible addition to our visit, and we timed it just right to be there when the heat was turned up, and butterflies were flying around the green house. We picked up a 'spot the butterfly' card, and were able to identify some of the types of butterflies that were circling our heads. This room was so relaxing to wander along the small paths and spot butterflies resting on leaves, at the nectar of flowers or even sitting on orange slices. There is also a cabinet of cocoons, and we were lucky enough to be in the room when a worker was letting a newly hatched butterfly take its first flight outside of the cabinet. This room will catch the imagination of any kid that visits, and no matter what your age, you won't be able to help staring in wander at the butterflies fluttering around the room. Our visit to the Horniman was the perfect activity for a rainy day, with many displays to wander through inside. And it would be the perfect place to bring kids throughout the upcoming winter months, when the weather may be a little cold for outdoor activities. There's even a hands on base, where you can touch and handle different objects, and even try some clothes on. It's a great opportunity to test your imagination and learn why and how some of the objects are used, and a fantastic way to keep kids entertained while learning. On a warmer day, the Horniman is set in beautiful gardens, where you could spend hours wandering around and having a picnic. There's even an animal walk where you can get up close and personal with animals like rabbits, chickens, goats - and even alpacas. This is definitely an activity high on my list for the next time I visit London on a good day. SO, if you're looking for a place to entertain kids (while being educational) then the Horniman is the place for you. And if you're adults looking for a little bit of culture and history, then head along too - but maybe try to avoid the school holidays. I'd say its been one of the funnest trips to a museum I've had in a while, and I definitely learnt about different cultures while there. I've always proclaimed my love for Edinburgh - I feel like this city gets me. It's got everything that this history loving girl could want, with its interesting history seeping into all parts of the city. With my love for heritage tourism growing on the daily, I thought it was only right to explore more of the city myself. 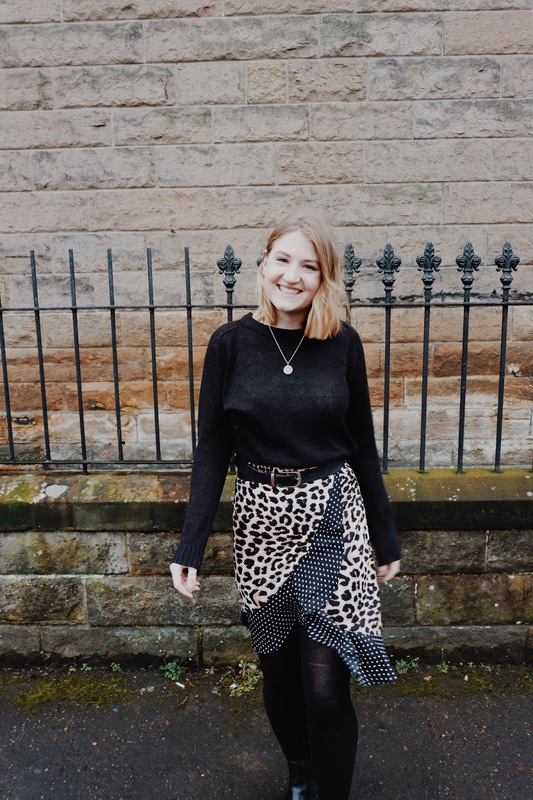 SO, let me introduce my new mini series on this blog: Explore Edinburgh. 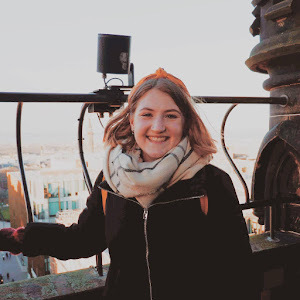 No longer am I going to spend my days off work, sitting binge watching the new Netflix original - I'm going to explore more of Edinburgh's heritage and history - and you get to come along with me. If you're a local looking for some new spots to visit on a weekend, or a tourist visiting and want to find out about all your options, then look no further. 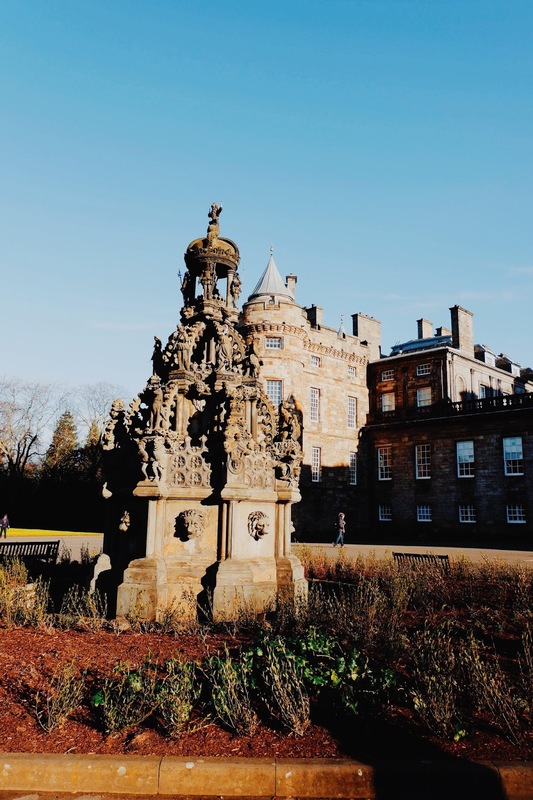 A while back now, I shared a post on how to spend 48 hours in Edinburgh - have a look here if you missed that one - and judging by the popularity of that post, many people are looking turning to local bloggers to find out the insider's tips. 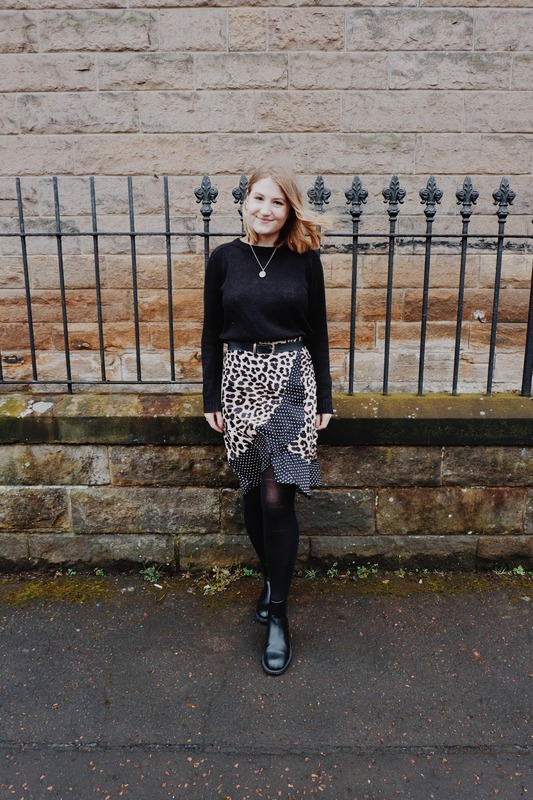 This week I'll be sharing my in-depth guide to Edinburgh's Royal Mile, but be sure to look out for future posts on the Old Town, New Town and everything in between. You've made it through my pre-amble, now welcome to your BUMPER guide for exploring Edinburgh's Royal Mile. 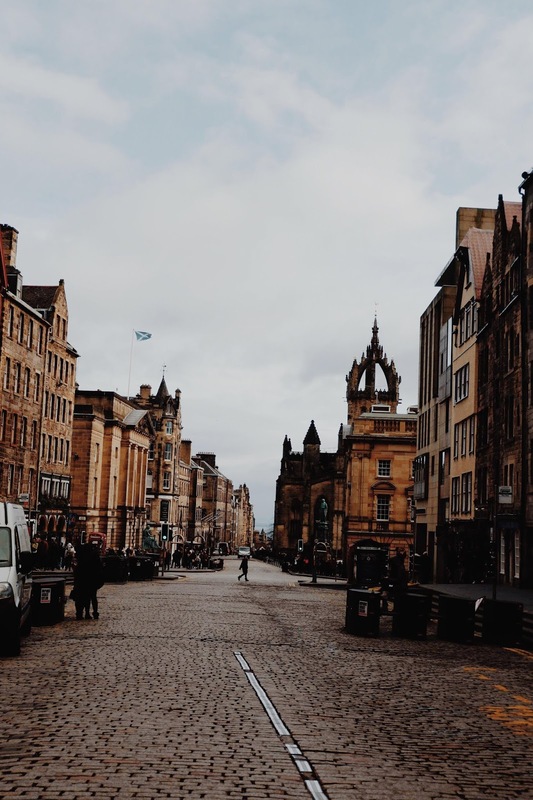 The Royal Mile is the historic heart of the city, where characters from all walks of life were to be found throughout the ages. A mile provides a lot of places to uncover history, and you won't be disappointed when you start to delve deeper into the stories behind the buildings. 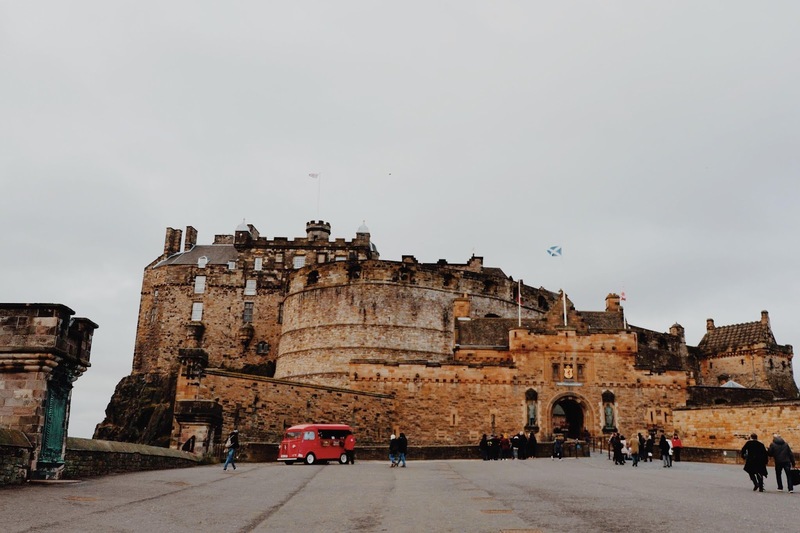 In this one-stop-guide to Edinburgh's Royal Mile, I'm taking you right down the mile - from the Castle to the Palace, and EVERYTHING in between - and even finding some new places myself along the way. 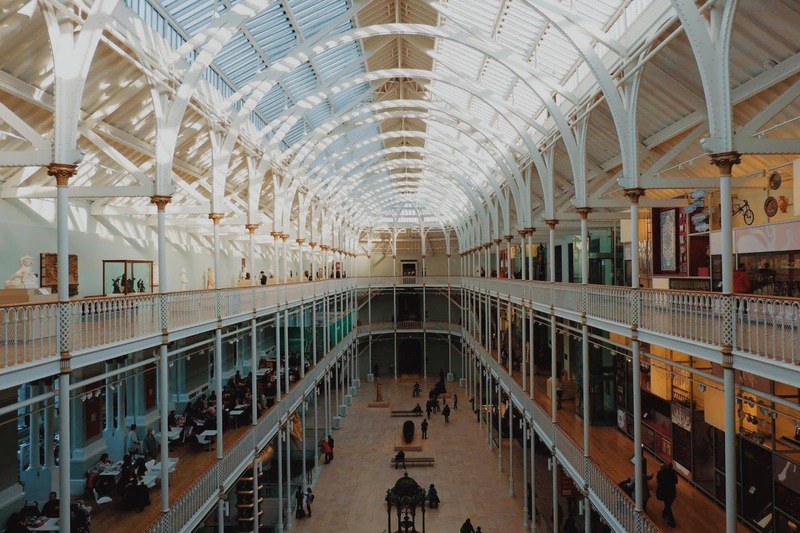 Marvel in the beauty of Edinburgh and its hidden heritage and use this post to plan your next visit to the capital. This section of the mile only stretches a short distance from the Castle, but along it you'll find The Hub and Camera Obscura. Edinburgh Castle: Situated at the top of castlehill, Edinburgh Castle is one of the most well-known sites in Edinburgh. Built on the plug of an extinct volcano, it rises above much of Edinburgh's skyline. The castle has played its part in Scottish history, acting as an important stronghold, such as in the Wars of Scottish Independence. 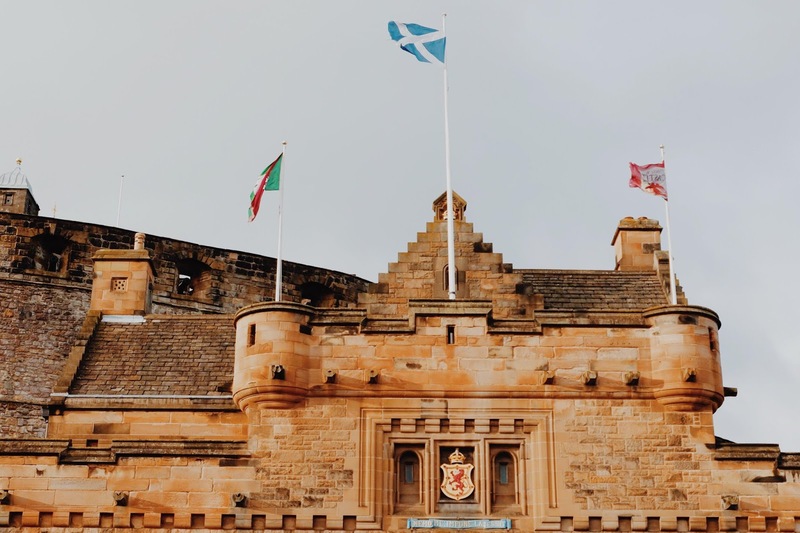 Visiting the castle, you're able to explore many areas of the castle itself, including the Great Hall and St. Margaret's Chapel (Edinburgh's oldest building), and see the Crown Jewels and the Stone of Destiny for yourself. Camera Obscura: In the 1700s, Thomas Short displayed his scientific instruments, including a 'Great Telescope', on Calton Hill. In 1851, Short's daughter, Maria Theresa Short, helped find the telescope its home on Castlehill, bought additional property to create 'Short's Observartory, Museum of Science and Art'. The Outlook Tower remained the popular attraction, showing the visitors a 'real-time' image of Edinburgh. Today, the tower is still open to the public, and visitors enter through a 'World of Illusions', where interactive displays show optical illusions for the young and the young hearted. 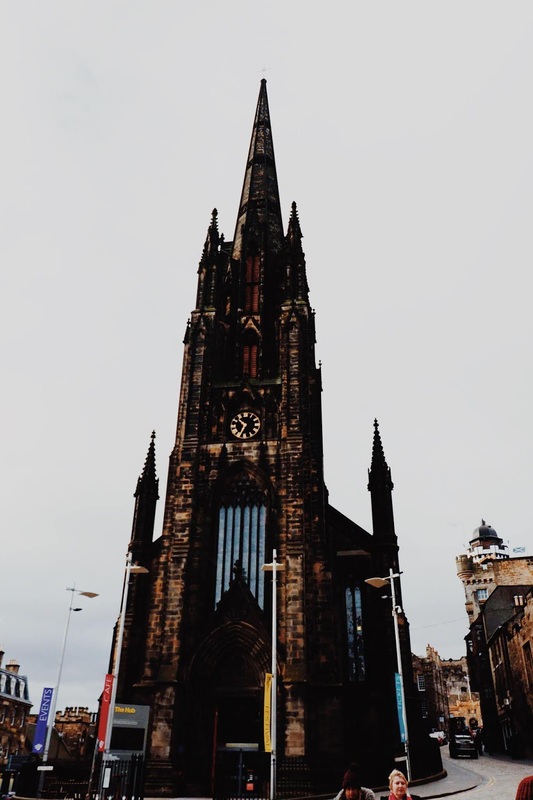 The Hub: The tall spire of the Hub can be seen across Edinburgh and is an example of Gothic Revival architecture. Originally, this building was the meeting place for the General Assembly of the Church of Scotland, used until the 1980s. Now, it houses ticket offices, information points and a venue for Edinburgh International Festival. This area of the Royal Mile was originally a market place for items from the land (the name lawn derives from land market), such as yarn and clothes - and is one of the oldest parts of the Old Town. Gladstone's Land: this property is owned by the National Trust of Scotland, and is one of the oldest buildings on the Mile, at almost 500 years old. Here, you can experience and learn about the lives of those who lived here, including Thomas Gladstone who converted the building into apartments for the wealthy. Walk through the rooms and discover their stories, and marvel at the beautifully painted ceilings and walls. Visits are by guided tour, or you can book to stay in the Gladstone's Land holiday apartments. 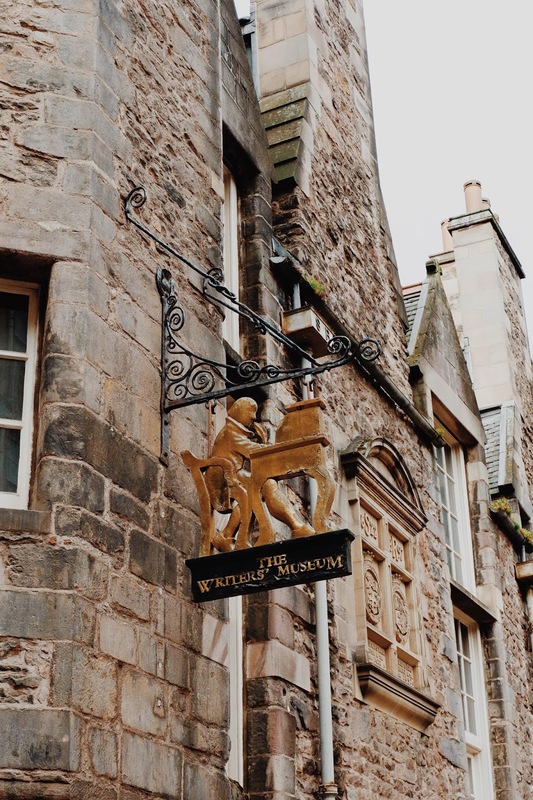 The Writers' Museum: this museum is dedicated to the lives of Scottish literary greats, Robert Burns, Sir Walter Scott and Robert Louis Stevenson. Inside you'll discover stories about each writer - including stories from their childhoods and family photographs - view some of their own possessions and early editions of their works and manuscripts. 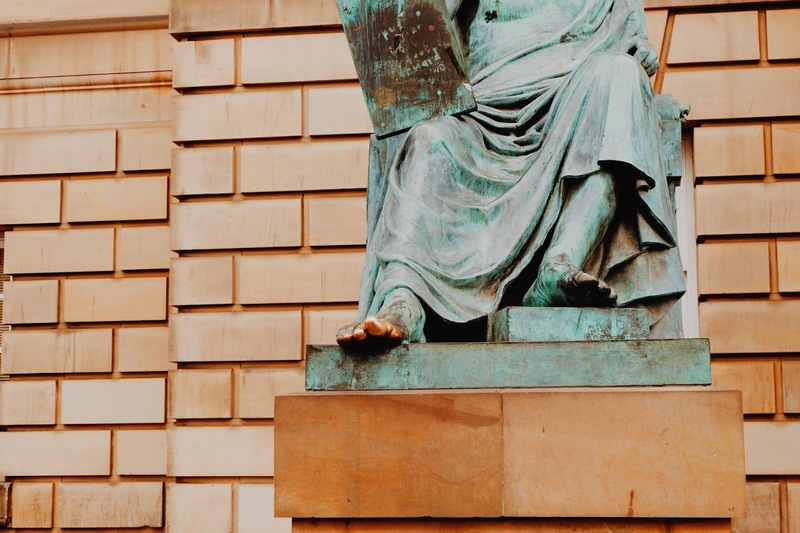 David Hume Statue: right at the corner of High Street, you'll spot the statue of David Hume, with his gold toe. 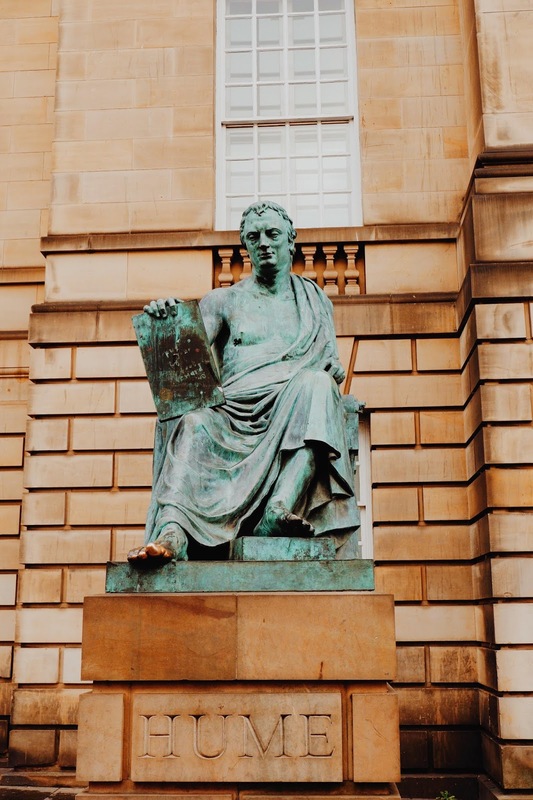 David Hume was a philosopher (1711 - 1776) and lived in Edinburgh. Many rub the toe of the statue as they walk past, believing it brings luck, hence his golden toe. 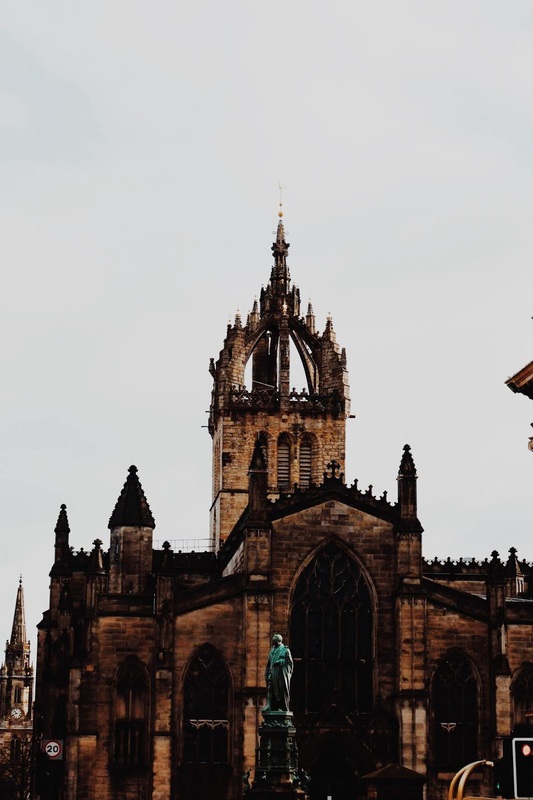 St Giles Cathedral: In parliament Square, you'll find St Giles Cathedral, the High Kirk of Edinburgh, founded in 1124. 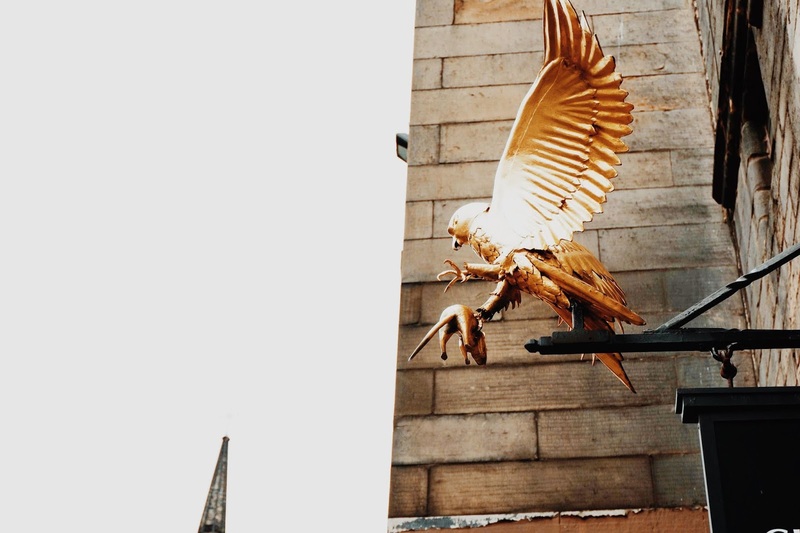 Although St Giles is a working church, visitors are welcome (check the opening times), and you can attend a guided rooftop tour at an additional cost. Its architecture is a prominent feature of the Edinburgh skyline, with a distinctive crown steeple. 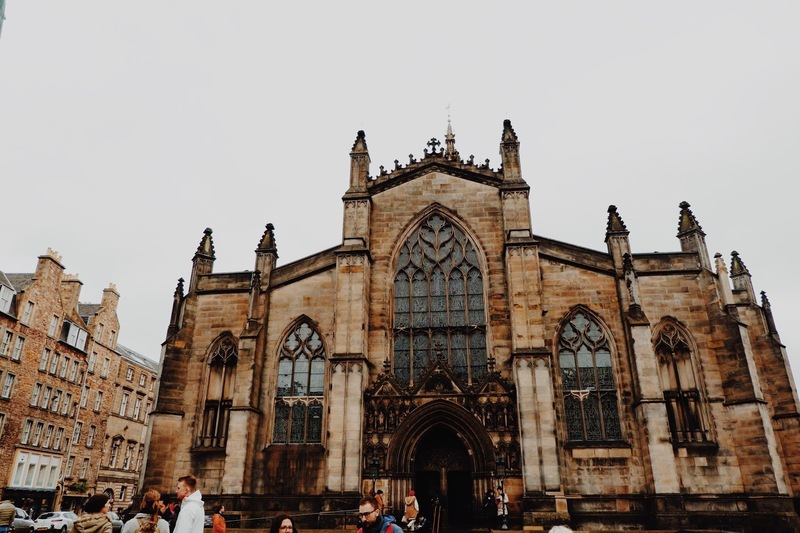 Inside the cathedral, you'll find beautiful stained glass, and memorials such as Thistle Chapel - a chapel of The Noble Order of the Thistle, Scotland's foremost Order of Chivalry. 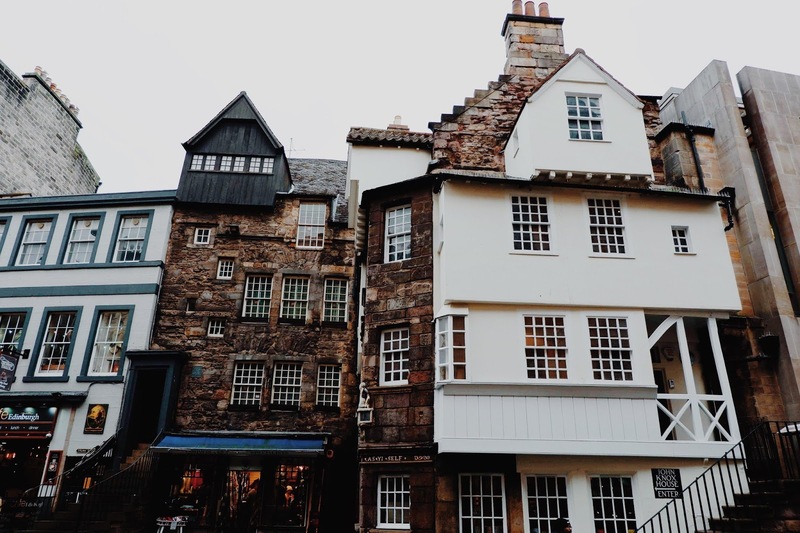 Mary King's Close: From walking down the mile, you'll have spotted the many small winding streets that lead from and to the Mile. These streets are called closes, and down each one, you'll find hidden gems. One of which is Mary King's Close, which has been named after Mary King who lived in the close in the 17th century. Here you're guided by costumed guides through the close and told of the stories and people that lived in each room. Find out what life was like for some of the poorer residents of the Royal Mile and explore this 'underground' close. Tron Kirk: Built between 1636 and 1647, Tron Kirk is named after the the weighing beam that used to stand outside the building. Whilst once a working church, the building is now owned by Historic Environment Scotland. The Tron Kirk now houses an exhibition on Scotland's World Heritage sites and explores Edinburgh's Old and New Towns. Museum of Childhood: This museum showcases toys, games and objects that epitomise childhood life. The museum has recently undergone a refurbishment, including an interactive area and has plans for more exciting additions. 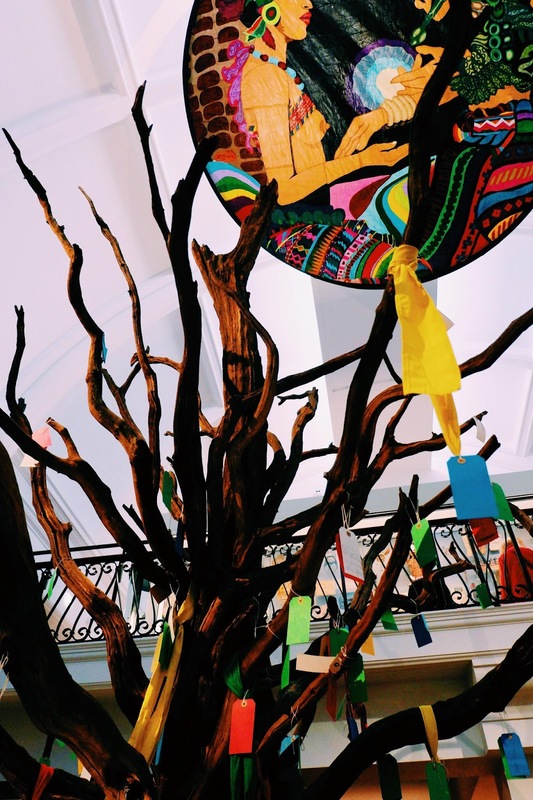 This museum is the first in the world to explore the history of childhood, and has always been a personal favourite of mine. 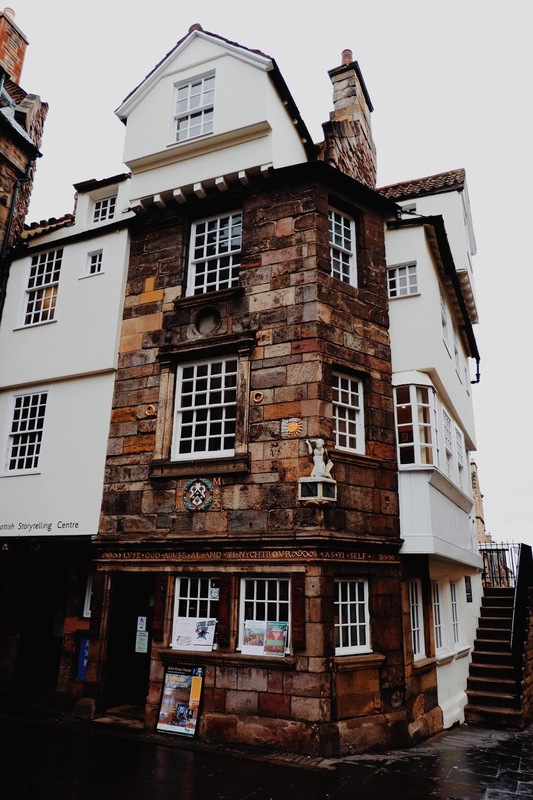 John Knox House: This house is one of the oldest in Edinburgh, and has a quirky architectural design. It's unknown if John Knox did, indeed, live here, however it is popular belief that he died here. 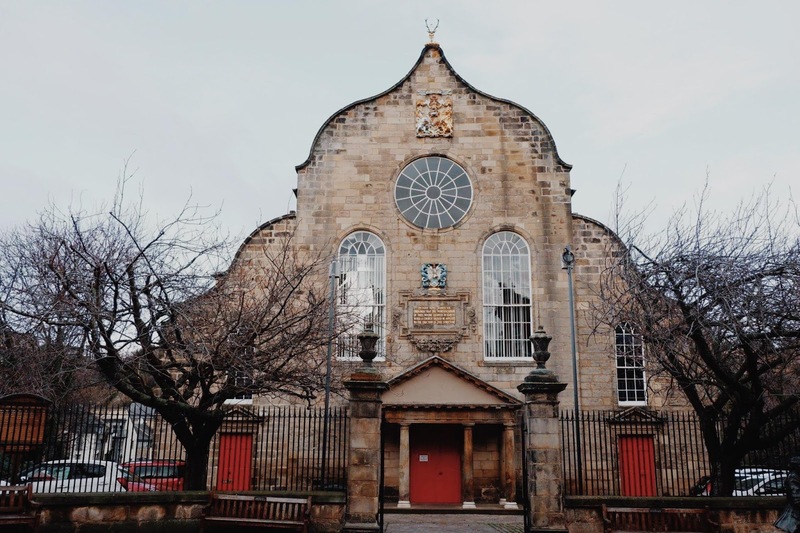 Inside John Knox house, you are able to walk through each of the rooms (including one with an incredible painted ceiling) and learn about the reformation and life 400 years ago. 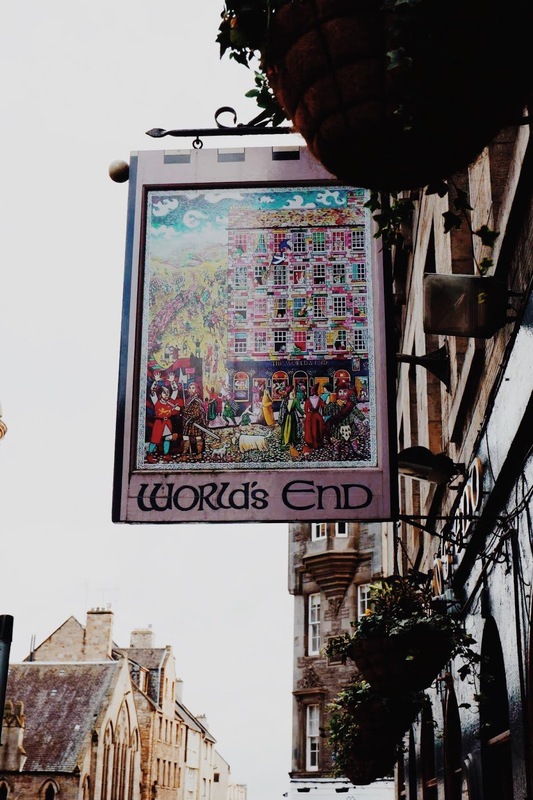 World's End: A gateway called the Netherbow Port marked the boundary of the city, and was situated at the crossroad of Jeffrey Street and St Mary's Street. Past this part of the Flodden Wall, was the burgh of Canongate, and entry was marked by a toll. If you couldn't afford this toll then this could literally feel like the world's end. Now, brass studs mark where the Netherbow Port used to stand, and a nearby close is named World's End, as is a pub on the corner of St Mary's Street. Canongate gets its name from 'the canon's way', reflecting a time when it was used by the Augustinian canons of Holyrood Abbey. 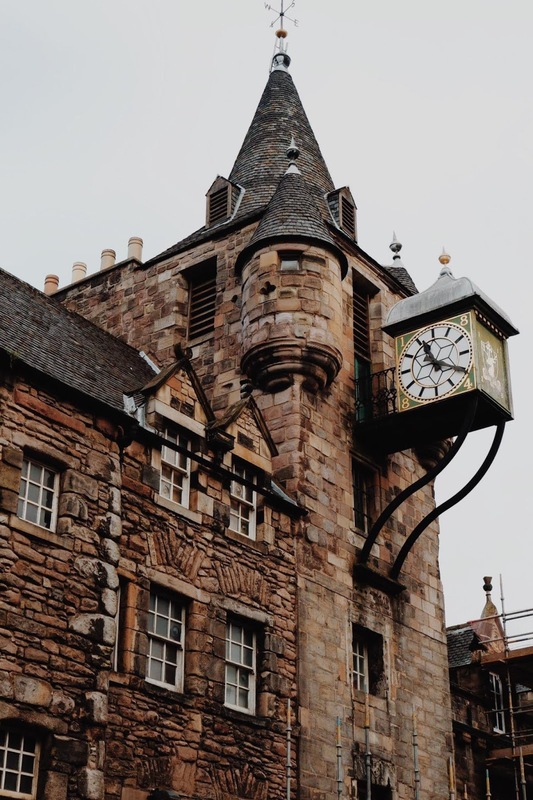 Canongate Tolbooth: This building was built in 1591 and housed a courthouse, burgh jail and meeting place of the town council. The clock which can be seen today was added to the building in 1884. 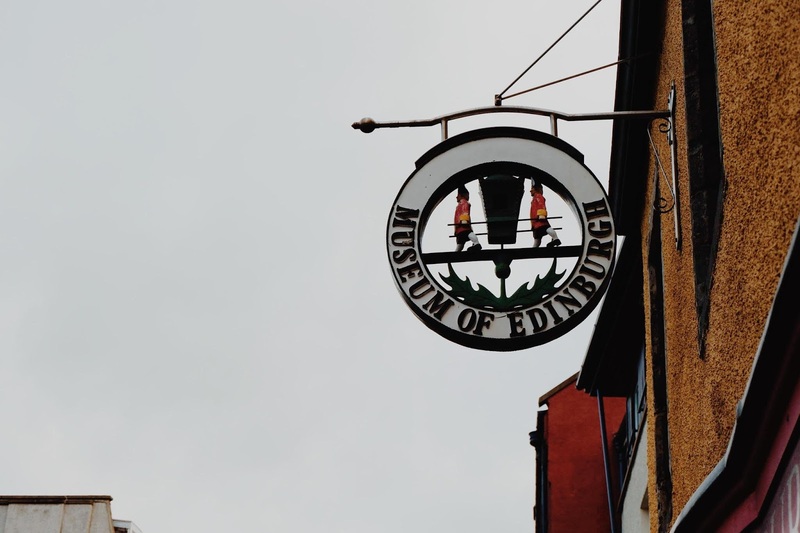 Today, the building is home to The People's Story Museum, where you can explore floors filled with mannequins and displays showcasing life through the ages for the people of Edinburgh. 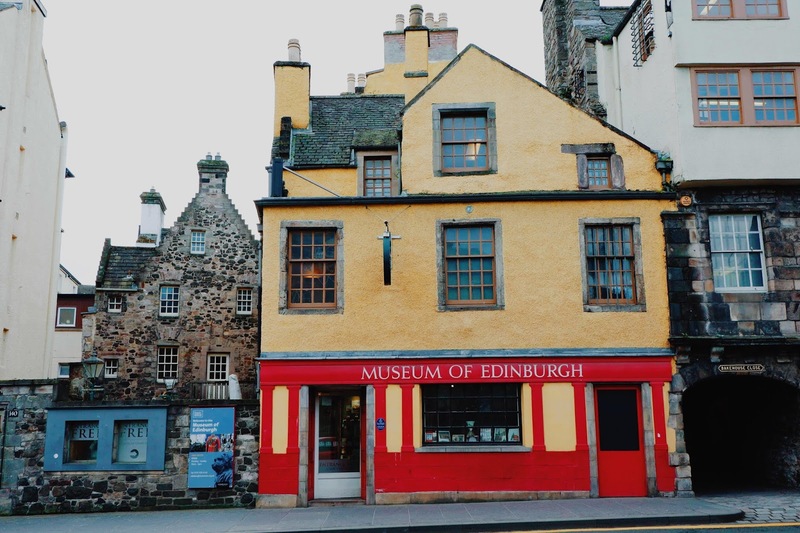 Museum of Edinburgh: Inside the striking yellow building is the Museum of Edinburgh, which houses collections showcasing Edinburgh's history. Learn about the city's development and growth throughout the years. A particular favourite artefact on show is the collar and bowl of Greyfriars Bobby (a devoted wee dog who's statue stands outside Greyfriars graveyard). Canongate Kirk: This church was built in 1691, and was used by the residents of the Canongate. The church still holds Sunday services, which visitors are welcome to attend. Interred within the graveyard are many notable Scots including Adam Smith, Dugald Stewart, David Rizzio and Robert Fergusson. A statue of Fergusson, a famous poet, stands outside the church, in bronze. The Scottish Parliament Buildings: At the end of the Canongate you'll find the Scottish Parliament Building, which was opened in 2004. The building, designed by Enric Miralles, has caused some controversy, due to its abstract and modern design. 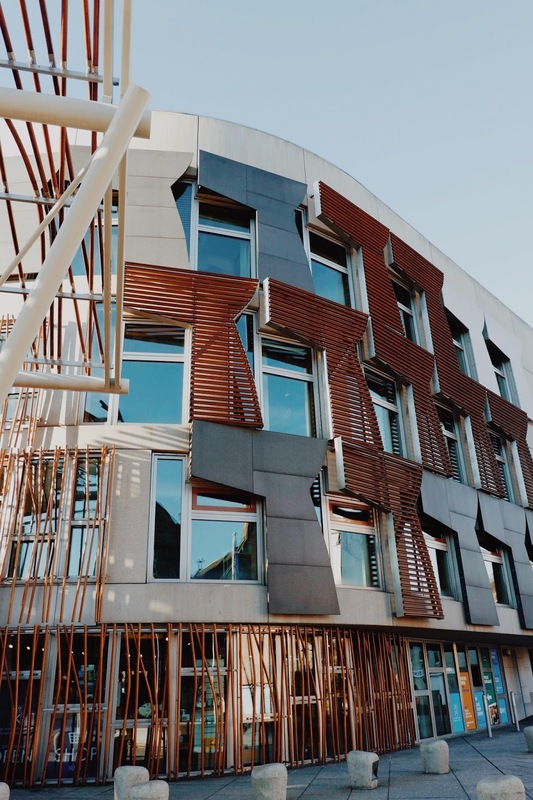 It now houses MSPs and civil servants and has seen many a debate. 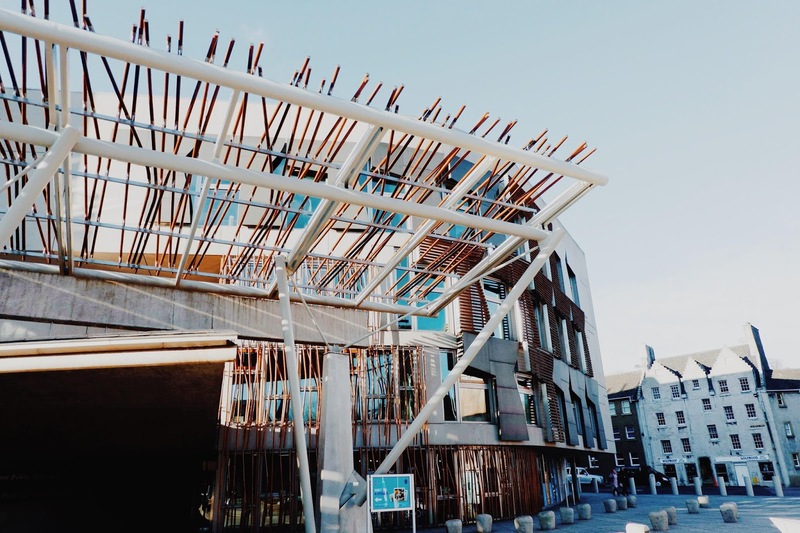 You can now have self-guided and guided tours throughout the buildings, learn about its architecture and art, or visit the exhibition 'A Parliament for the People Exhibition', to learn about the ways Scottish Parliament has developed and grown. The short stretch of the road running from the Canongate to Holyrood Palace is Abbey Strand. 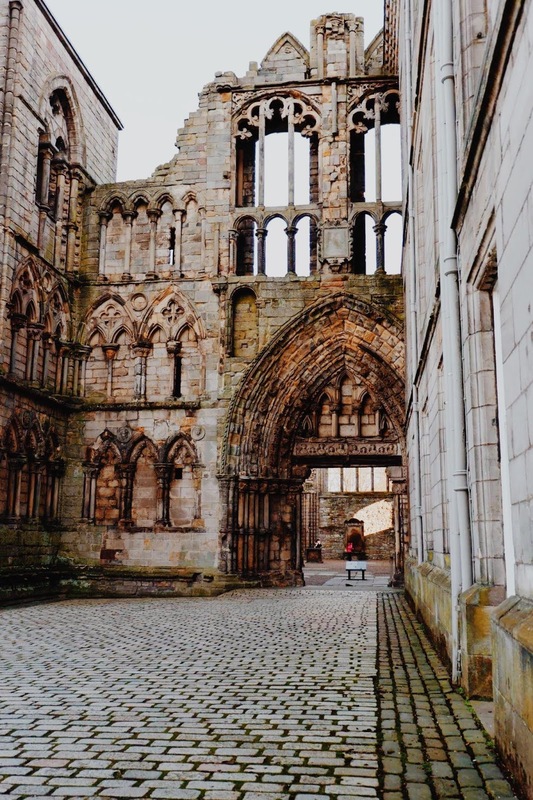 Holyrood Abbey: The ruins of Holyrood Abbey stand next to the Palace of Holyrood. The abbey was built in 1128, and used as a church until the 17th century. At this site, James II, Margaret Tudor, Mary of Guise, Anne of Denmark and Charles I were all crowned, and the abbey also saw many weddings, including those of James II and Mary Guelders, James III and Margaret of Denmark, and James IV and Margaret Tudor. While walking around the ruins, you'll see many grave stones, including the Royal Vault where some royals were buried. 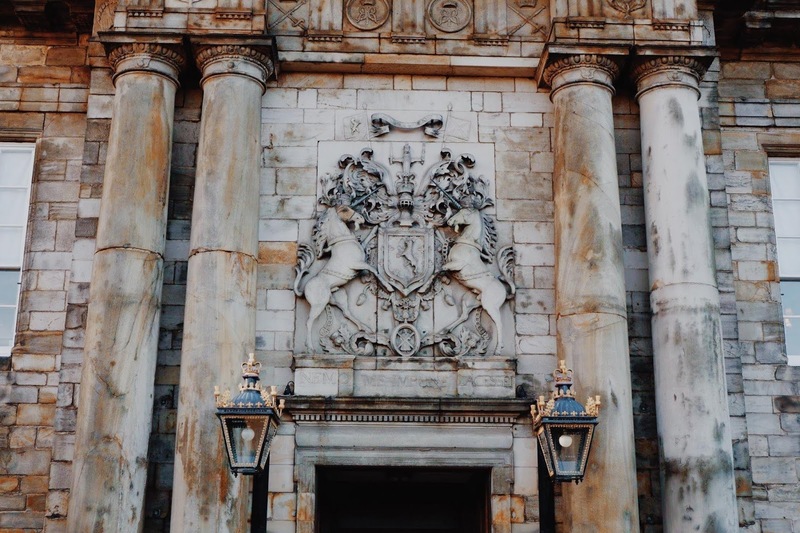 The Palace of Holyrood: Holyrood Palace is the official home of the Queen whilst she is in Scotland, and has been home to Kings and Queens since the 16th Century. 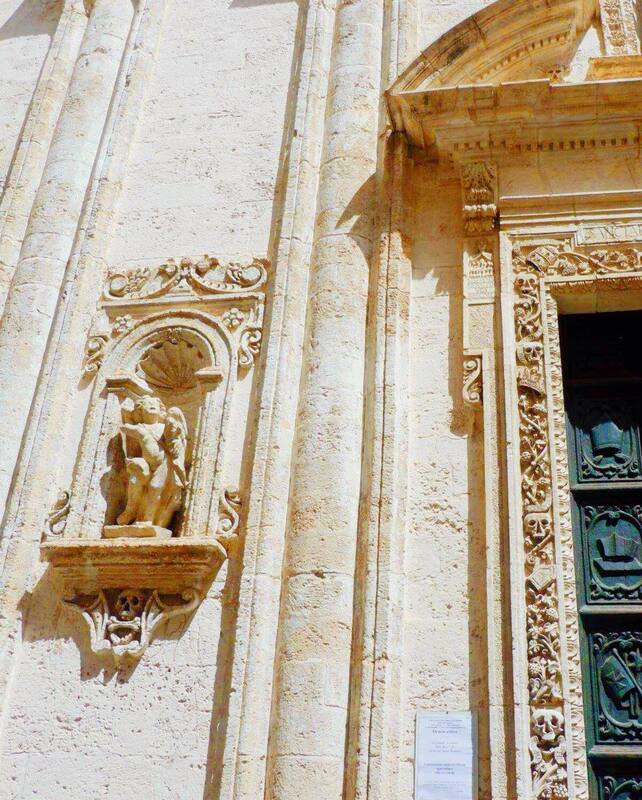 The Palace was built between 1671-1678, and has since seen the creation of new wings and towers. The Palace is still used by the Queen today, who stays at the Palace for a week during summer, and holds a garden party. Visits to the Palace are ticketed, and visitors can tour the greatly decorated rooms of the palace, and listen to headsets to find out about the history and significance of each room. And so we've reached the end of our tour down the Royal Mile. 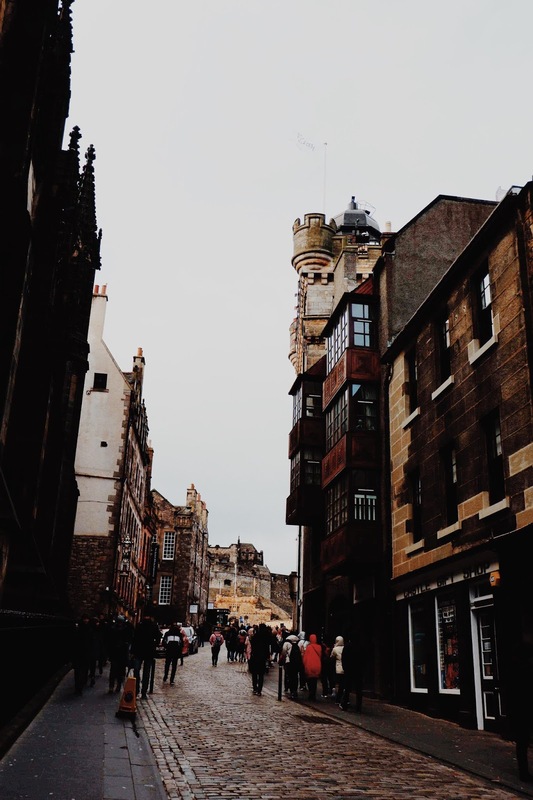 With its many closes to explore, and historic sites to visit, a walk down the Royal Mile can easily fill a day. 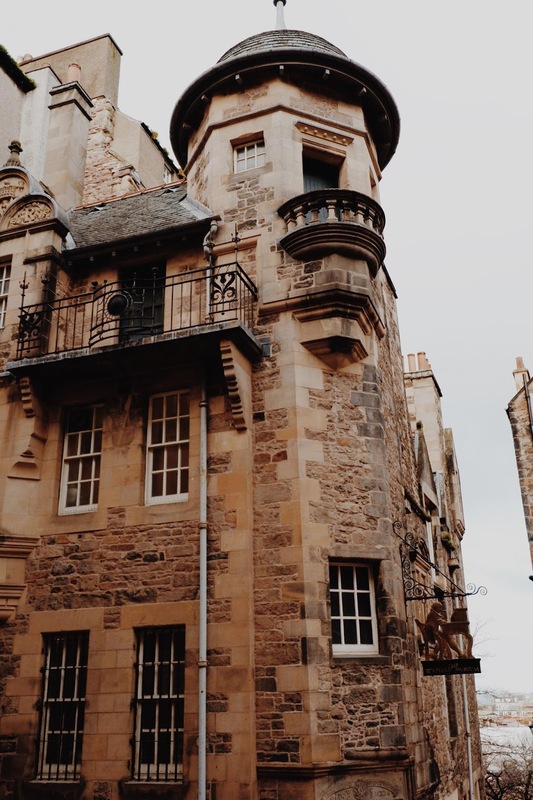 The Royal Mile, with its fishbone structure of closes and tall tenement houses captures the long and complex history of Edinburgh, where both the wealthy and poor made their homes, traded at the markets, and found work. 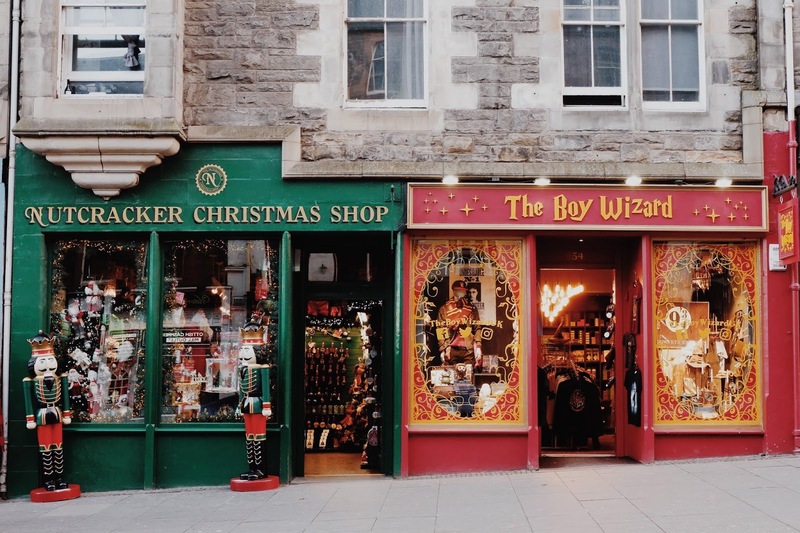 Now a days, The Royal Mile showcases this history through the historic buildings and homes that you can visit, entwined with independent shops which boast of Scotland's culture, through tartan, wool, whiskey and even Harry Potter. I hope that you've enjoyed our virtual tour down the Mile, and have discovered some new places to visit when you're next in Edinburgh. Be sure to follow and stay updated for more posts which explore more aspects of this beautiful city.